Welcome to Gora Kadan. 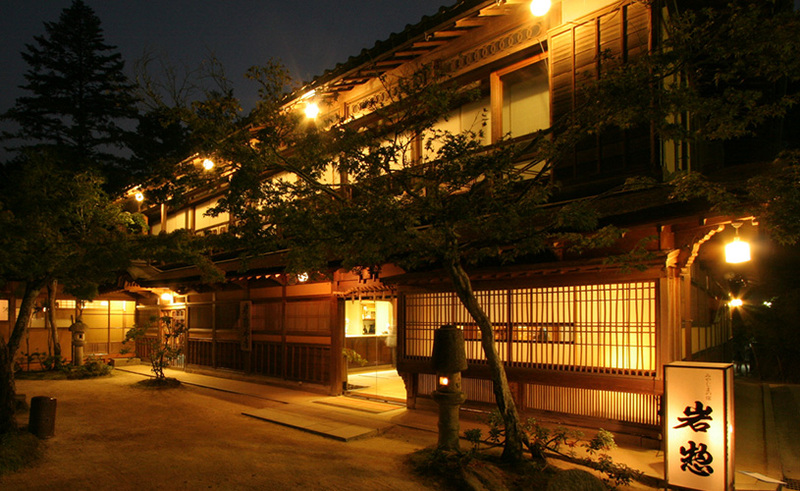 This is a Luxurious Ryokan, perhaps one of the most luxurious ryokans in Japan. There are 38 Japanese-style rooms, and several of the guest rooms at Gora Kadan have their own private outdoor hot spring bath. Gorakadan has indoor and outdoor hot spring baths for both women and men. The indoor hot spring baths hold up to 40 bathers, and they are open from 3:00pm to 10:00am. The outdoor hot spring baths hold up to 20 bathers, and they are open from 3:00pm to 10:00am. A swimming pool and sauna are also available to guests. Gora Kadan serves Japanese meals are served and each month the menu changes. Check-in time is after 3:00pm and check-in time is before 11:00am. English is spoken. Price Warning: This is a very high class ryokan, and prices start at 50,000 yen per person. Important Travel Warning: It takes a long time to go through customs at Narita International Airport and then travel to Hakone. If your plane lands in the early morning at Narita International Airport, you can make it to a Hakone ryokan in time for dinner. However, if your plane arrives after 10:00am you WILL NOT be able to make it in time for dinner. You should stay at least 1 night in Tokyo and then go to Hakone the next day. This ryokan does not have a curfew. Amazing ryokan all around. The Kaiseki, the Onsen, the rooms and the service were all top notch. I would stay here again.